Escrow agents are often referred to as title agents. The escrow agent handles all the legal and financial responsibilities of closing a home loan. When purchasing a home, it is important for a buyer to understand all vital processes, including the escrow process. 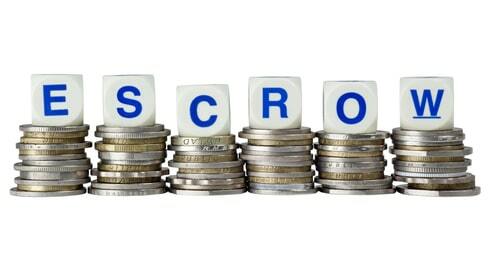 If you’re wondering what is escrow, read on. An escrow officer, according to Learn.org, is a third party that completes the legal and financial documents for a real estate transaction. They work on commercial and residential acquisitions, and they are independent of the lender and real estate agent. The escrow agent owes the buyer and seller a fiduciary duty. They work through the escrow agreement, which is a contractual arrangement between two parties who agree to have the escrow agent hold the asset until the loan is closed, according to Investopedia’s escrow definition. Once the agent receives the proper instruction, they will release the real estate and any funds associated with it. When looking to define escrow, one will come across the escrow account. Escrow accounts are two-fold in real estate. The first escrow account is the one set up by the title agency or escrow agent. It serves as a holding tank. During the sale or acquisition of property, all paperwork and funds are deposited into this account and held until the terms of the contract are satisfied. Once the loan is completed, the escrow agent ensures all parties are paid, including lenders, sellers, and third-parties. After the closing and payments are recorded, the escrow agent records the deed with the state and transfers the title to the new buyer. What is an escrow account? This is a secondary escrow account set up between the lender and buyer. Banks prefer escrow accounts because they ensure that all third parties associated with the loan are paid, such as homeowner’s insurance and mortgage insurance. The escrow account is set up with the lender, and the lender holds funds in the escrow account until payment is due. It is the responsibility of the bank to distribute the payment to the third party, such as the county for property taxes. The debtor pays their monthly mortgage payment, with increments added to the payment to cover the escrow account items. The lender removes the excess after mortgage and puts those funds into the escrow account. Escrow accounts are adjustable. At the end of the year when the bank pays the amount due, they assess the actual taxes and insurance premiums and adjust the payment as necessary. In some cases, a homeowner’s payment may go down if their property tax or insurance premiums decrease. Home sales do not always go through. 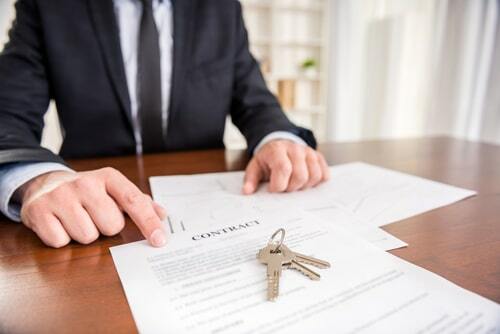 When the contract is canceled, regardless of the reason, the escrow agent must hold the funds until they receive a notification in writing as to how to disburse the funds. In some cases, the National Association of Realtors says that the agent may reserve some of those funds to pay the real estate agent and their company before returning the rest to the buyer or seller. Most states do not require that a lender pays interest to a buyer for any funds in their escrow account, says House Logic. However, some states do require interest payments. It is also important for a homeowner to realize that paying their funds into escrow may eliminate their tax-deductible portion of their property tax; therefore, they should consult with a financial advisor or accountant to determine the best method for paying all associated fees. Some homeowners find it is better to place their property tax and insurance premiums into a savings account so that they may accrue interest on their funds instead of placing them in escrow. Other homeowners prefer the funds automatically taken from their mortgage payment so that they do not run the risk of falling short at the end of the year. Also, some lenders may require that a buyer has an escrow account to guarantee all taxes and insurance funds are paid.